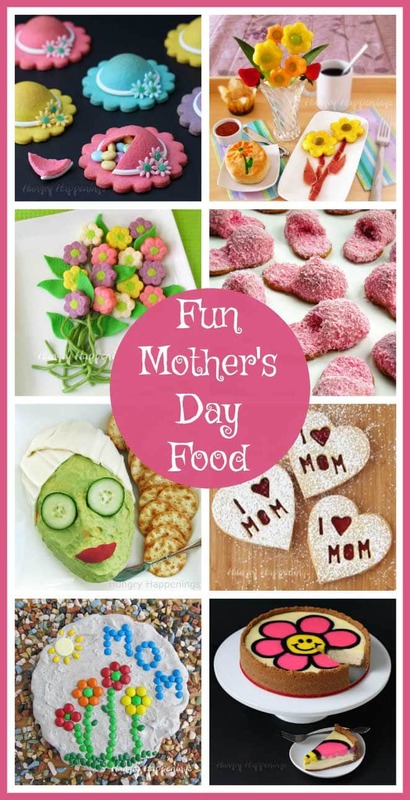 May 6, 2013 By This post may contain affiliate links. 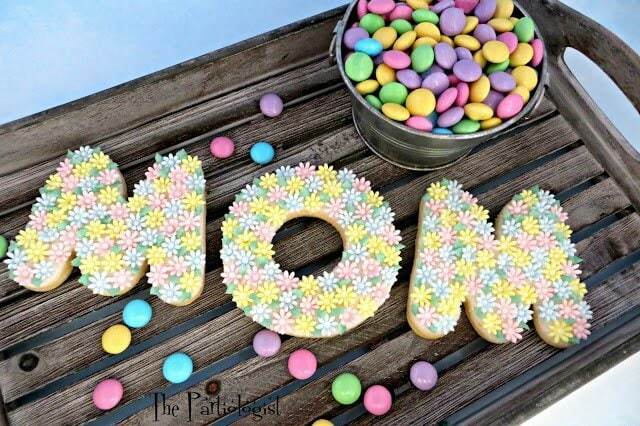 So, today, I called on my wonderful friend, Kim The Partiologist, to help me out, and I couldn’t be more excited about the edible crafts she has created for Mother’s Day Gifts! 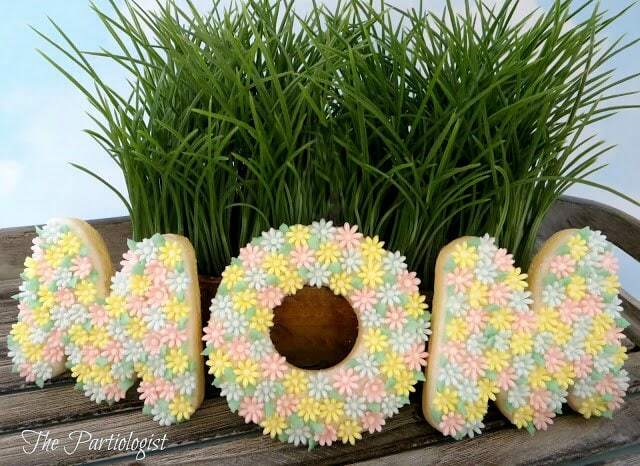 These Mother’s Day Topiary Cupcakes Topped with Flowers are perfect for that special MOM. They’re so beautiful and I know any mother would love them. Blogging can be so much fun, but there are times when life gets so busy that I need a little help getting posts created to share with you. This is one such time for me. 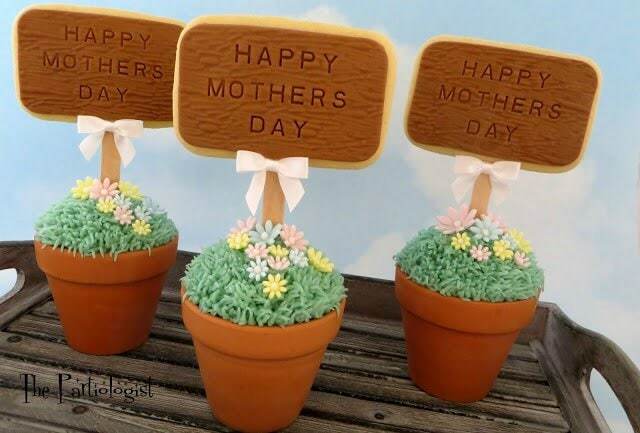 KIM – I’m happy to help Beth out today and show you the small garden of daisies I planted for my mom. My mom not only is a cake decorator and artist, she also loves flowers. And she knows how to plant and take care of them. Something I don’t have a clue about and will probably never learn. I once planted tulips…upside down. They grew, just had to make a little U-Turn! 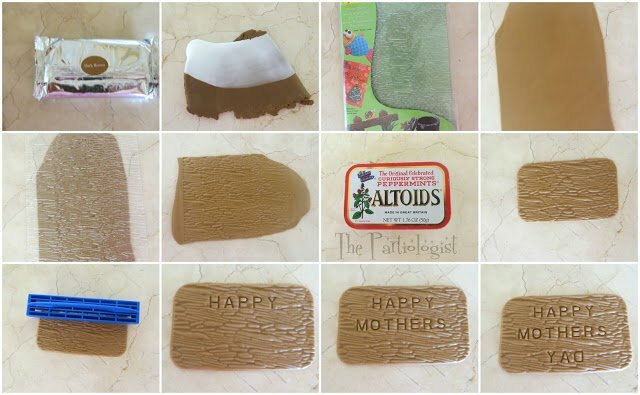 Press Happy Mother’s Day in the sign using a letter embossing stamp. I did that just to show you what would happen…well, sort of. 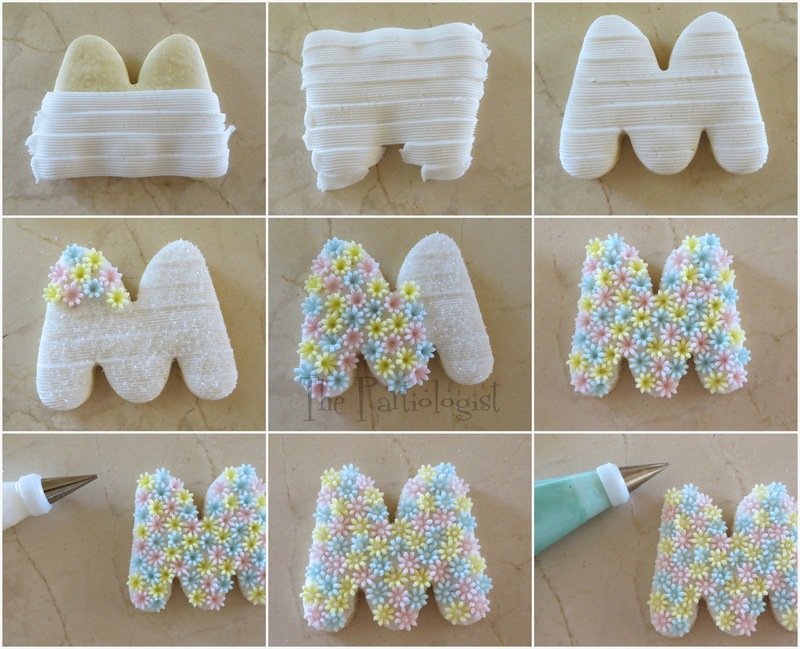 With my gazillion cookie cutters, I still didn’t have the cutter I wanted. Oops, I forgot to tell you to bake the cupcakes…So, Bake The Cupcakes!! 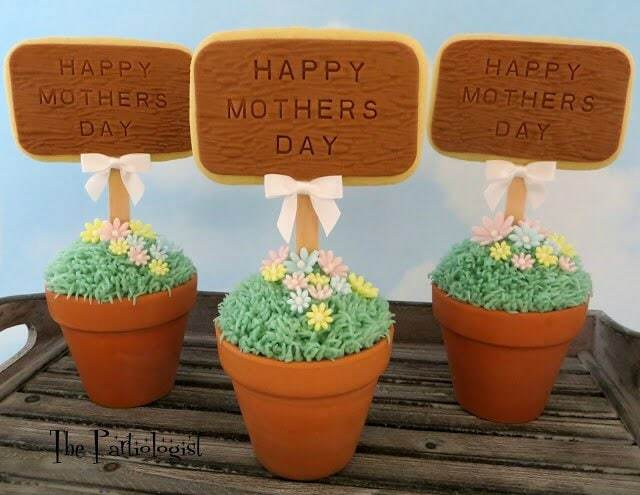 Add the fondant flowers, garden sign and white bow if you’d like! It’s the perfect garden wouldn’t you say…how does your garden grow? Thanks, Kim for helping me out today! Thank you again for letting me share my gardening – I am always more than happy to help!